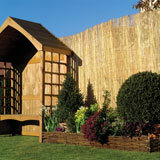 This natural fencing and screening will enhance all gardens, patios and deckings. 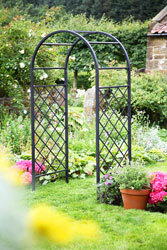 Reed fence screening can be used as boundary fencing or as screening to create separate areas within your garden. 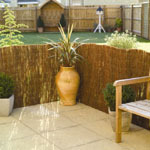 Natural reed screening can be used over arbours and pergolas it creates a soft shaded area beneath for those hot summer days. 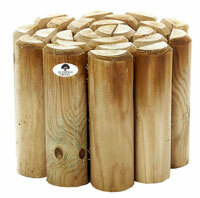 Garden reed fencing simply attach to fence uprights with ties or staples. 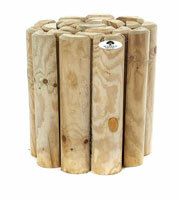 Reed fence roll is ideal cover to chain link fencing. 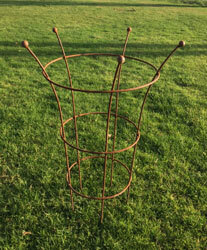 Natural reed fencing can be used to screen unsightly areas such as compost heaps, rubbish bins, gas and oil tanks. 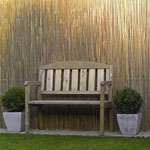 Our reed fence screening is delivered Free to you when you spend more than £39.99. 13' 3" x 6' 6"
13' 3" x 5' 11"
4m wide x 1.5m high. 13' 3" wide x 5' high. 4m wide x 1m high. 13' 3" wide x 3' 3" high. 5m wide x 2m high. 16' 3" x 6' 6"
5m wide x 1.5m high. 16' 3" wide x 5' high. 5m wide x 1m high. 16' 3" wide x 3' 3" high. 26' 6" x 6' 6"
This reed sceen is delivered in two 4m x 2m reed screenging rolls. 8m wide x 1.5m high. 26' 6" wide x 5' high. 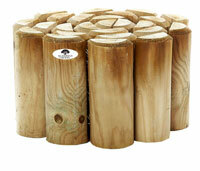 This reed sceen is delivered in two 4m x 1.5m reed screenging rolls. 8m wide x 1m high. 26' 6" wide x 3' 3" high. This reed sceen is delivered in two 4m x 1m reed screenging rolls. 10m wide x 2m high. 32' 6" x 6' 6"
This reed sceen is delivered in two 5m x 2m reed screenging rolls. 10m wide x 1.5m high. 32' 6" wide x 5' high. This reed sceen is delivered in two 5m x 1.5m reed screenging rolls. 10m wide x 1m high. 32' 6" wide x 3' 3" high. This reed sceen is delivered in two 5m x 1m reed screenging rolls. 12' 5" x 3' 11"
New size of reed screen. 12' 5" x 2' 11"
12' 5" x 5' 11"